Little strikes fear in the hearts of homeowners like discovering mold growth. But does your homeowners insurance cover mold damage? Little creates the level of concern and fear in a homeowner that the discovery of mold growth in their home. 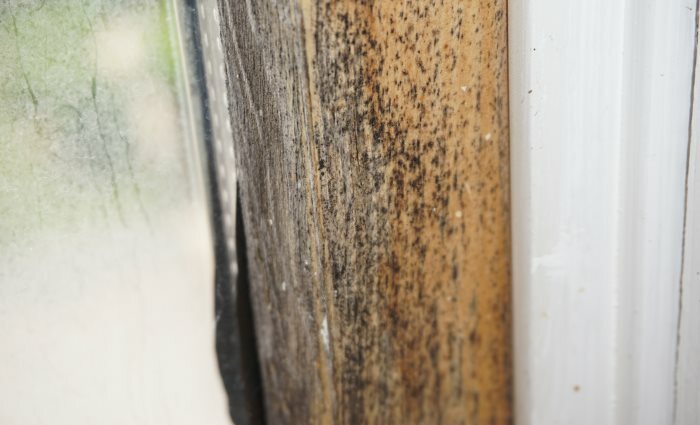 And with good reason; left unchecked, mold growth can quickly spread to previously unaffected areas resulting in additional damage as time goes on. Worse still is mold's propensity to grow in dark, hidden areas such as wall cavities, attic spaces, or above ceilings, which can allow for a mold problem to go unnoticed by a homeowner for quite some time. As a result of the concern mold elicits in homeowners, it's no surprise that this is one of the most common questions we receive. So, does homeowners insurance cover Mold Remediation? What coverages are included in your policy? Insurance policies are incredibly varied and complex. Whether your policy is a Named Peril Policy or an All Risk Policy, as well as what endorsements you have, can all affect the coverage that may be available for necessary mold remediation services. Some insurance companies even specifically specify that no mold coverage is available in any of their policies! Always consult with your local insurance agent for answers to specific policy questions. What caused the mold growth? This is a big one. Even insurance policies that provide coverage for mold remediation services will specify that it must be the result of a covered claim. What this means is that a mold issue that results from something like an improperly vented bathroom exhaust fan, or a pipe that was leaking for an extended period of time due to improper maintenance, may not be covered. If the water damage itself is not covered, the mold remediation won't be covered either. Mold needs moisture to grow, so the first step of addressing any mold issue is to determine where the moisture is coming from. Is it a slow leak from a pipe, or is it groundwater seepage into a basement? Groundwater issues will generally not be covered by your homeowners insurance, which means the subsequent mold remediation will not be covered either. Mold remediation coverage is always extended only to mold that results from a covered loss, so if the loss is not covered, neither is the mold. Was the cause sudden or accidental? Your insurance policy is intended to protect you from the unforeseeable events in life. Pipes that break, storms that blow shingles off the roof, etc. These events are considered sudden and accidental. Damages that develop slowly over time are typically not considered sudden and accidental. For example, a pipe or appliance leaking over a long period of time would NOT be considered sudden and accidental while a burst pipe or the sudden failure of a water heater is. As a general rule, damages that result from events that were not sudden or accidental are not covered, and that goes for mold remediation as well. Was the water issue hidden? If it can be reasonably assumed that the homeowner had no way of knowing that a long term leak was occurring, the insurance company will generally extend coverage for the mitigation and repairs that the leak necessitated. If the homeowner would have or should have known of the leak, or did not have the leak properly mitigated, the insurance company will often deny coverage for this work. Industry professionals such as Disaster Blaster are well versed in standard policy provisions and insurance company requirements. We often find that denials as a result of hidden leaks are a simple misunderstanding and are able to be resolved. What is your coverage limit? Once you've answered the question of whether you have coverage for the necessary mold remediation services, the next question to answer is: "how much coverage do you have?" This can vary from insurance company to insurance company and from policy to policy. Most insurance companies offer mold remediation coverage with a limit of $ 5,000 with additional coverage limits available should you want them. Is $ 5,000 in coverage enough? While every claim is different and some can be much larger than others, most often $ 5,000 in mold coverage is adequate. The reason this is the case is because the insurance company only applies this limit to the mold remediation specific tasks. Water mitigation services such as tear-out of wet material, drying, and the associated repairs are all applied to your larger policy limits. This is one of the reasons why hiring a qualified mold remediation firm is so important. Billing paperwork that does not break these services out appropriately may result in confusion and coverage issues that can be difficult to resolve. We hope this answered your questions about mold coverage in your insurance policy! Should we ever be of assistance to you, please do not hesitate to Contact Our Offices!